Sebagian orang terkadang enggan beradaptasi dengan sesuatu yang baru, termasuk soal teknologi. 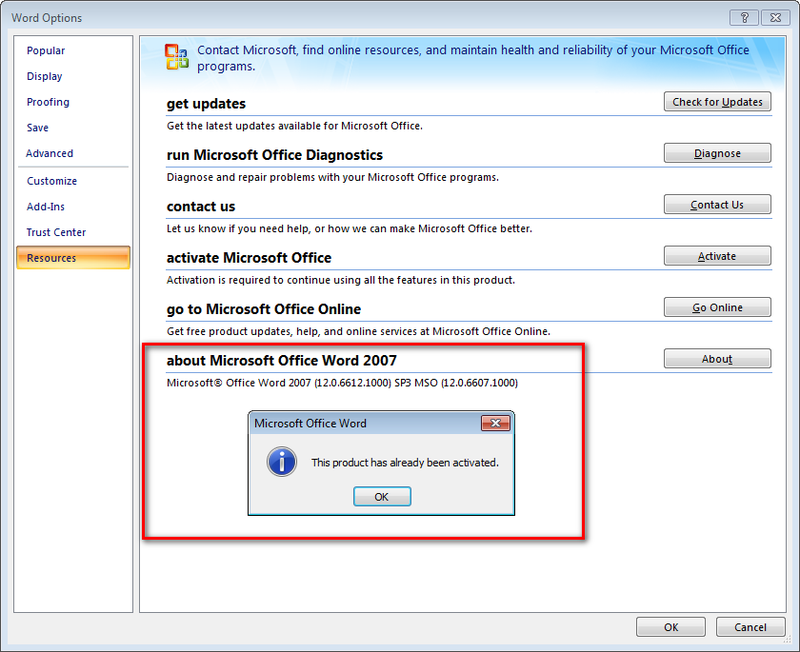 Buat anda yang masih senang menggunakan Microsoft Office 2007 dan belum ingin beralih ke MS Office 2010 atau MS Office 2013, maka kami sediakan edisi update dari Office 2007. Ini update terbaru dan teraktivasi Full Version. 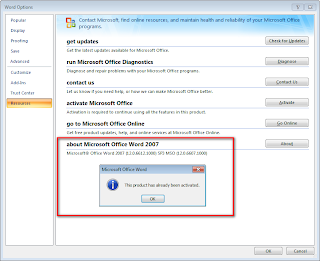 Inilah edisi Microsoft Office 2007 Enterprise with Service Pack 3 build 12.0.6607.1000. Hanya Seharga IDR 45.000 sudah termasuk ongkos kirim ke seluruh Indonesia, kode barang MS07. KLIK DISINI, untuk beli. ☆ Documents that require security trimming is not returned from the notification queries, even if the user who created the alert can view and request these documents. ☆ Not in Unicode characters in certain error message strings displayed correctly. ☆ Four new styles of the references are now available in the "List of References & links the word" England, Harvard, IEEE, the sixth edition of APA and MLA seventh edition. ☆ Chinese New Year holiday are now included in the Outlook calendar for Singapore. ☆ Fixes an issue in Excel 2007, which sometimes hangs when opening a workbook Excel, previously stored in the newer versions of Microsoft Excel. This occurs if the file uses a new feature not available in the 2007 release of Microsoft Office. ☆ To address the Pre-and Post about the rules of the French language with the help of a thesaurus. ☆ Fixes an issue in which the encryption is not configured for use with the converter file format compatibility pack or Office 2003 or an earlier version of Office. ☆ Fixes an issue where occasionally crashes when an Excel workbook in Excel and then browse through the preview pane of Windows. ☆ Fixes an issue in which settings and areas of tape slices Excel is lost when the file extension XLSX file is first saved ODS and then saved in a format in Excel 2007 XLSX.